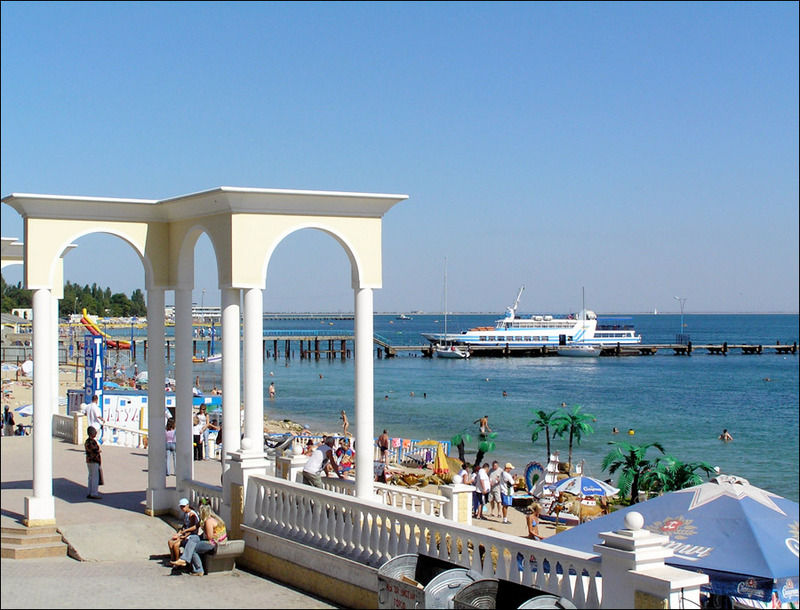 Evpatoria (other spellings Eupatoria, Yevpatoria, Yevpatoriya) is a resort city located in the western part of Crimea Republic on the shore of the Black Sea. 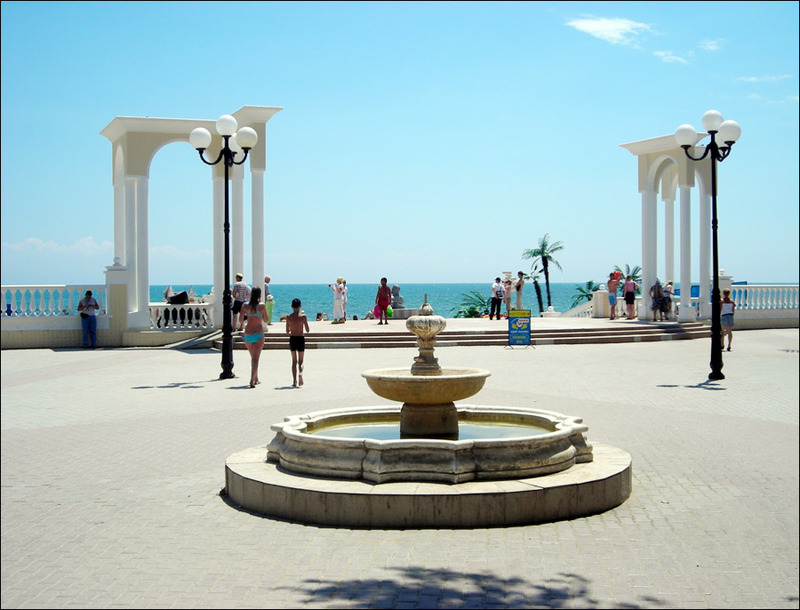 The city extends for about 14 km along the shallow Kalamitskiy gulf. Local beaches are known for their clean and soft golden sand, clear sea water and gently sloping bottom of the gulf. Local time in Evpatoria city is April 21, 9:38 pm (+2 UTC). 26 July, 2012 / Incident during the loading of air defense radar. 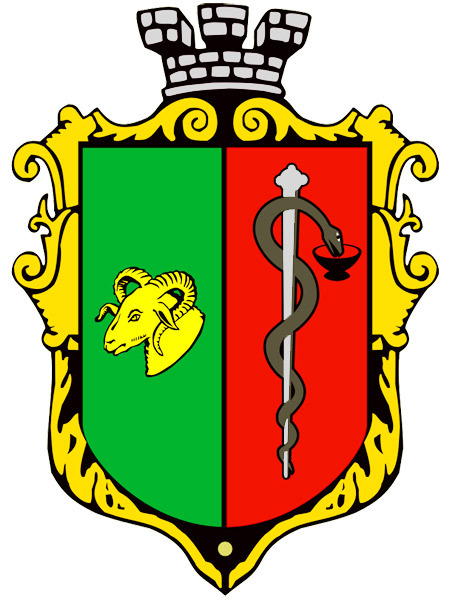 The current status of Evpatoria is disputed between Ukraine and Russia. De facto, it is controlled by Russia as the entire Crimea. The first recorded settlement in present city area was called Kerkinitis (Kirkinitida). It was built by Greek colonists around 500 BC. Kerkinitis with the rest of Crimea was the part of the state of King of Pontus - Mithridates VI (nickname - Evpator). From the 7th to the 10th centuries, it was a Khazar settlement. Later, the settlement was under control of Mongols and Crimean Khanate and was named Kezlev. In 1478-1485, the town was ruled by the Ottoman Empire. In 1783, Kezlev (with the whole Crimea) was captured by the Russian Empire. The name of the city was officially changed to Evpatoria in 1784. The city was occupied by British, French and Turkish troops during the Crimean War (1854). At the end of the 19th century, the town became a popular resort. Dachas began to be constructed on the territory between the old town and Moynaky Lake. In 1914, a tram line was opened in the town, in 1915 - a railway line. By 1940, there were 38 sanatoriums and rest homes in the city. Present day Evpatoria main industries are tourism, fishing, food processing, wine making and furniture manufacturing. There are no large industrial plants in the city, except milk-, bread-, wine-making and some other small plants, mainly of food and processing industries. Not far from the town, there is a center of controlling and testing space equipment. The resort area is located in the south-west. In the east, there is an old town which has a net of small crooked streets typical for eastern towns. Moynaky Lake is located in the west and Sasyk Lake in the east. Among natural curing factors, there is unique mud, sea and mineral water, air and sun, sand and herbs. A lot of sandy beaches are located within the city limits. Mild climate without sharp temperature changes makes this area especially favorable for health. 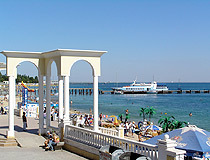 Evpatoria is one of the sunniest towns in European part of the CIS (former states of the USSR). There are 258 sunny days a year as usual and can be up to 289 in especially sunny years. The sea there is very warm. In mid-summer, July-August, the water temperature reaches 23-26 degrees C above zero. Winters are warm, as a rule, day temperatures are above zero. Snow falls every winter but it thaws in several days. Autumn is the best season for resting in Evpatoria, at the end of so-called “velvet” season, when the number of guests decreases as well as heat but the sea is still warm. In Paris there is Evpatoriyskaya Street (Rue d’Evpatoria), it was called like this to commemorate the battle happened near the city during the Crimean War. In June 1908, a telephone line connecting Evpatoria and Simpferopol was constructed - the first one in the Russian Empire. In Switzerland, there is a post-rock band called The Evpatoria Report. The name of the band is not accidental and as one of the musicians told, it is linked with antenna complex PT-70 located near the city. With the help of this equipment messages to civilizations outside the Earth are sent from time to time. 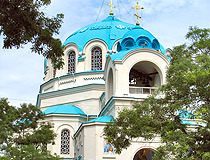 St. Nicholas Cathedral. The majestic St. Nicholas Cathedral towers over the surrounding buildings near the waterfront opposite the mosque Juma-Jami. The foundations of the cathedral were laid in 1893. It was built in memory of the liberation of Evpatoria from the English-French-Turkish forces. Tuchin Street, 2. Opening hours: 7:00-21:00. Juma-Jami Mosque. 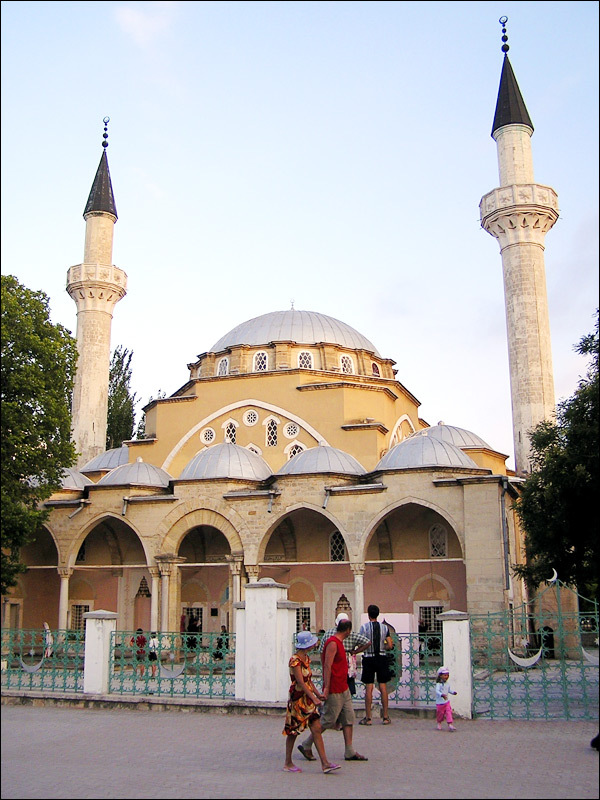 Khan mosque Juma-Jami (Khan-Jami) is the largest and the most majestic mosque in the Crimea. 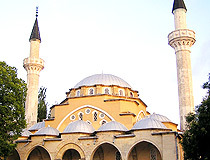 The mosque was founded under Khan Devlet I Giray in 2010. In 1962-1985, restoration of the mosque was carried out; two minarets damaged in the early 19th century because of the earthquake were recovered. 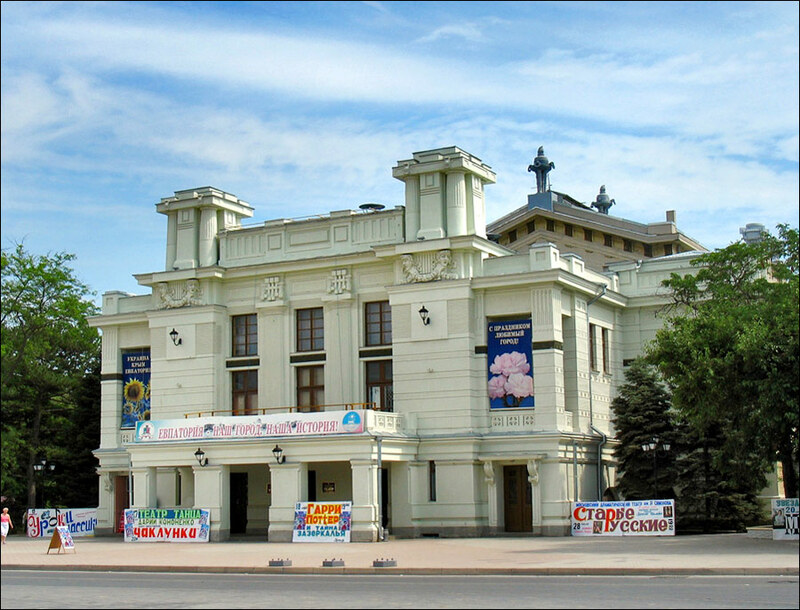 Until 1990, the place was used as a museum of atheism. Today, the mosque is returned to believers, there are guided tours available. Revolution Street 36. Opening hours: excursions - 10:00, 11:00, 12:00, 13:00, 14:00, 15:00, day off - Friday. Armenian Church. 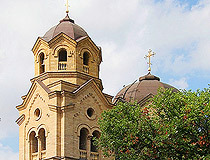 Basilica of St. Nicholas was founded in the Armenian quarter of the city in 1885. The construction of the temple lasted for about 20 years. During Soviet times, the temple was used for household needs. There are plans to restore the church and to return it to the Armenian community. 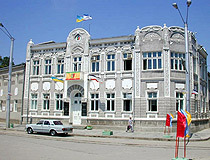 Internatsionalnaya Street, 44. Yeghia-Kapai Synagogue. This synagogue was founded in 1912. 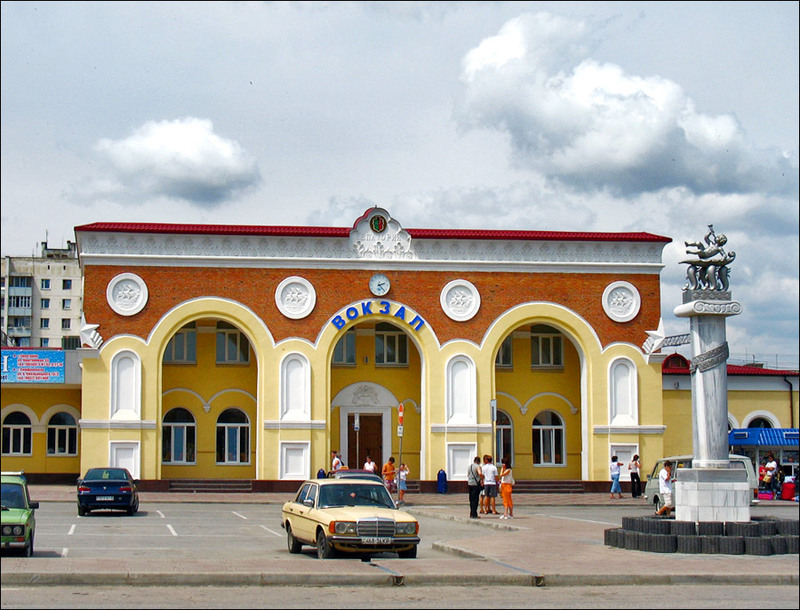 Today, it is renovated and, in its territory, there is a Jewish cultural and ethnographic center with a kosher cafe-museum, you can attend master classes of potters, chasers, soap-boilers, etc. 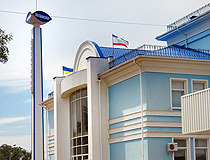 Karaimskaya Street, 47. Excursions - after 15:00. 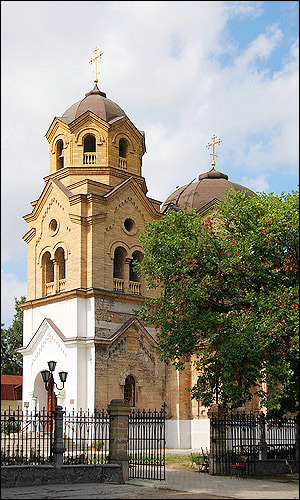 St. Ilia Church. 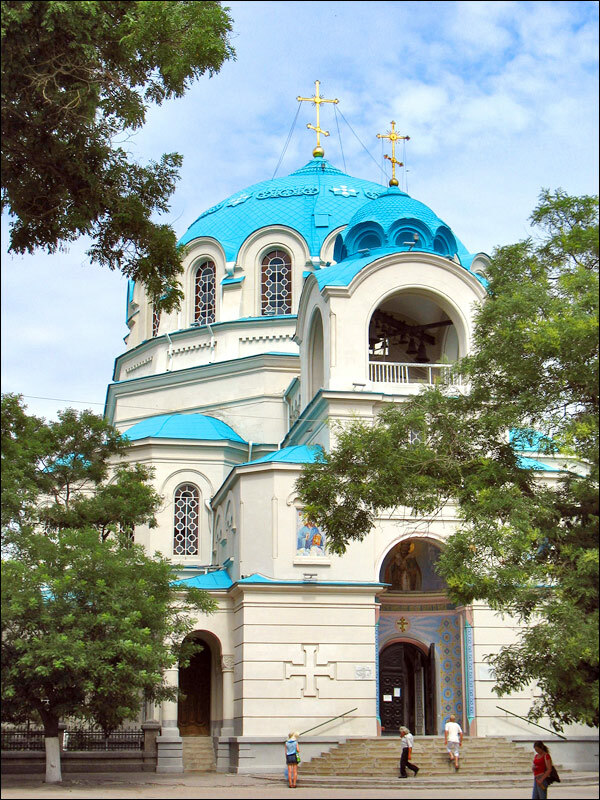 This Greek church, consecrated in the name of the Holy Prophet Ilia, is located on the waterfront, near the yacht club, Juma-Jami mosque, and St. Nicholas cathedral. The church, built in 1911-1918, is a monument of architecture. Buslaev Brothers Street, 1. 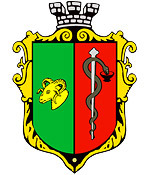 Karaite kenasy. This complex of amazingly beautiful houses of worship (kenasy) is the main spiritual center of the Crimean Karaites. The complex was built in the beginning of the 19th century when a large community of Karaites settled in the city after leaving the cave city of Chufut-Calais. Today, kenasy are open to worshipers and tourists. 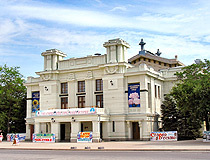 Here you can find a museum of Karaite culture and a cafe offering Karaite cuisine. Karaimskaya Street, 68. Opening hours: 10:00-20:00 (winter - 12:00-17:00), Saturday - 12:00-20:00. Tekie of dervishes. 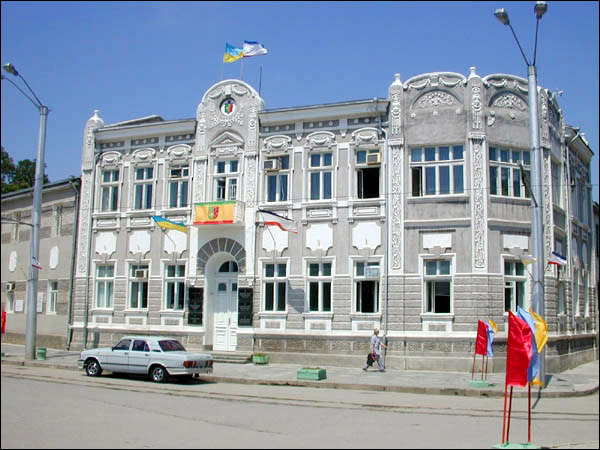 The abode of dervishes of Sufi Order “Mevlevi” is the only monument of the Sufi branch of Islam in the Crimea. Nearby, you can find Shukulay-Effendi mosque with a minaret (the 17th-19th centuries), as well as a former madrasah housing a cultural and ethnographic center and museum of the Crimean Tatar culture. Karayev Street, 18. Opening hours: 10:00-18:00. Evpatoria City Gates. It is the largest and the only survived (reconstructed) city gate. On the ground floor, you can see well-preserved original brickwork; there is a Crimean Tatar cafe-museum “Kezlev Kavesi” and a museum “Kezlev Gate” with the layout of the medieval town here. It is a good place to begin a tour of the old city. 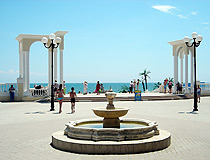 Karaev Street, 13-a. Opening hours: 9:00-20:00. The Pyramid (ruins of Kirkinitida). It is a small glass structure, which has become the hallmark of the present city. Transparent dome covers archaeological complex “Northwest suburbs of the ancient city Kerkinitida of the 5th - 2nd centuries BC.” Duvanovskaya Street. The Tram. 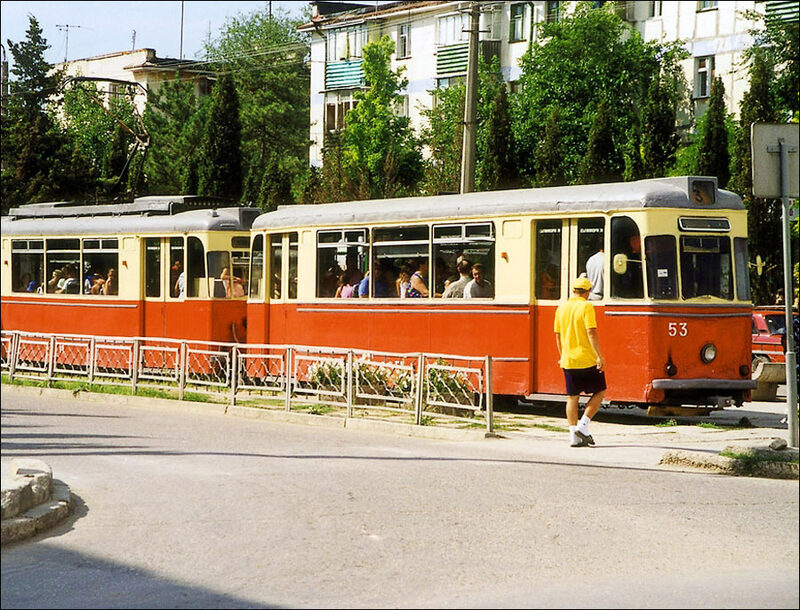 It is a guided tram route on the basis of a single-track streetcar line opened in 1914. 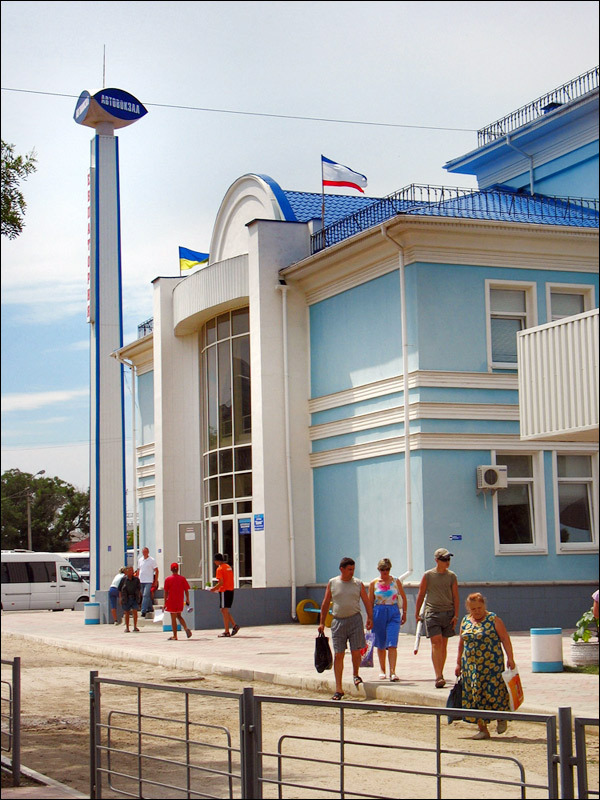 It is the only operating streetcar line in the Crimea, not including the resort tram in the neighboring Molochnaya village. 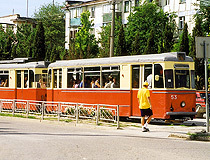 The tram is not only a public transport, but also one of the most popular attraction for tourists. The guide talks about the sights and interesting aspects of the 2500-year history of Kirkinitida-Gezleva-Evpatoria. The route is about 20 km long. Excursion time - 1 hour 20 minutes. Frunze Street. Opening hours: 11:00-20:00. Evpatoria Dolphinarium. The show lasts for 40-45 minutes. Dolphins sing, dance, draw, play volleyball with the audience. Kievskaya Street, 19/20. First show starts at 11:00. Local History Museum. The museum is located in the former house of the merchant Gelelovich, built in the Moorish style in 1912. 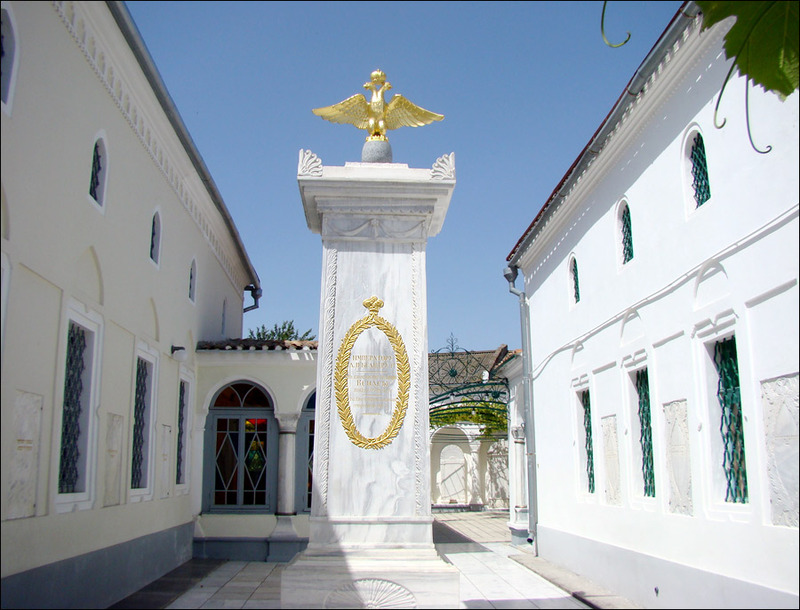 The collection of the museum consists of archaeological and numismatic objects, antique books and works of art confiscated from wealthy residents of the city. Duvanovskaya Street, 11. Opening hours: 9:00-21:00 (winter - 9:00-17:00), days off - Wednesday, Saturday. Chernobyl Museum. 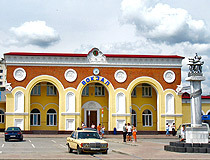 This museum is opened on the Memory of the Heroes of Chernobyl Square. It is dedicated to the accident at the Chernobyl nuclear power plant. In particular, there is a diorama of Chernobyl - the exact layout of the station in the first days after the explosion. Among the other exhibits are chemical protection suits used by the liquidators of the accident, respiratory masks, copies of archival documents, personal belongings and photographs of the liquidators, etc. Lenin Avenue, 12. Opening hours: Tuesday, Thursday, Saturday - 10:00-16:00. The Museum of the Crimean War. The Museum of the History of the Crimean War was opened in a renovated building near the port in 2012. The exhibition features six cast iron and bronze guns of the Crimean War, the flags of all the combatants, weapons, anchors, household items, fragments of soldiers’ uniforms. Revolution Street, 61.